History was made on April 11th 2015 with the Women’s University Boat Race for the first time being staged on the same Tideway course and on the same day as the Men’s race, both being televised live by the BBC. DARC decided it would be a good idea to follow suit, breaking new ground of its own by organising a Boat Race Ball on the same day. 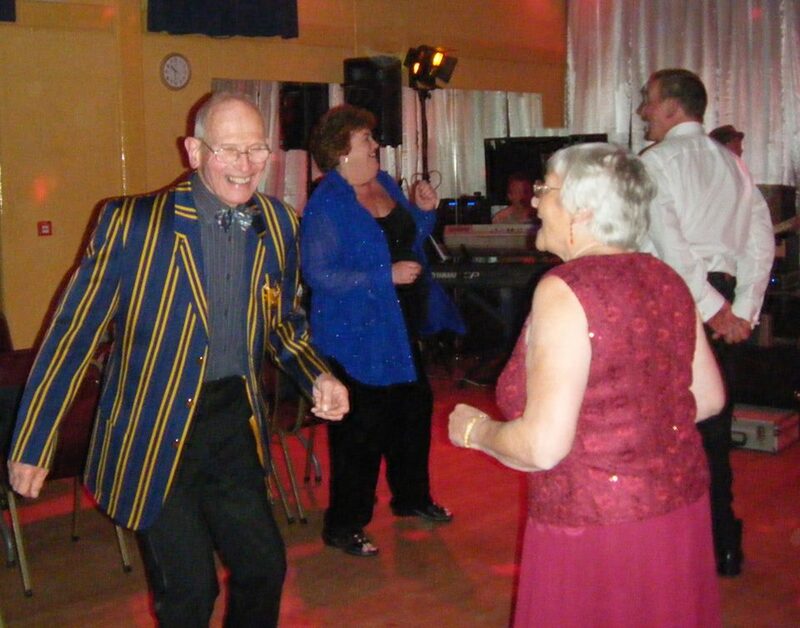 Following an informal afternoon of watching the Grand National and the two Boat Races unfold on the big screen members changed into more formal attire for dinner and entertainment provided by a live band. The result was very pleasing, with over 60 people attending on the night, and innovative menu and seating arrangements trialled successfully. The first innovation involved seating most of the guests for the meal in the bar, which was refurnished using the conference furniture. 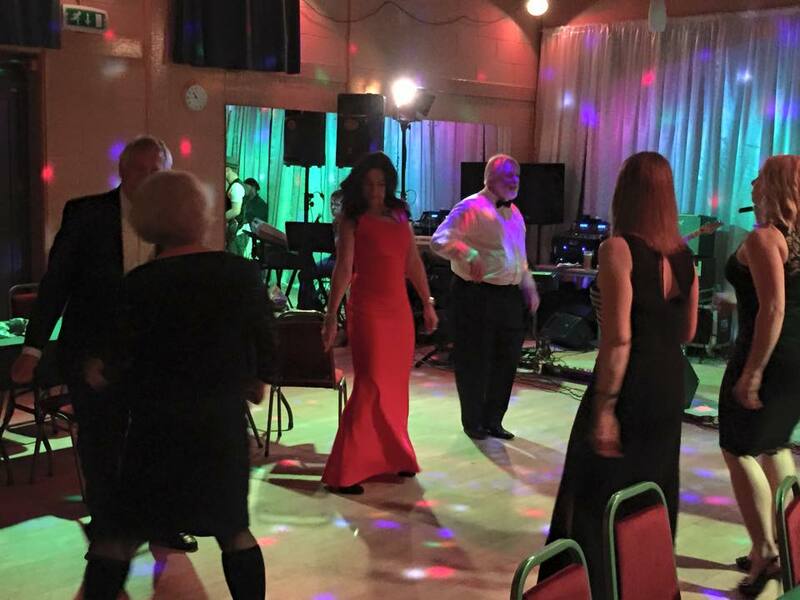 This allowed a dance floor to be kept available without the need to move tables. it also meant people could escape the band which was quite loud! Next was a brand new menu designed by Gene, Graham and John, which was delicious, especially the sauce in which the chicken was cooked. Most of the meal was served carvery/buffet style making service faster and allowing people to choose what goes on their plate. A massive thank you to Gene, Anne, Joyce and Gordon who pretty much ran the kitchen themselves – quite a task – especially when the fire alarm decides to go off repeatedly! Once the meal was over there was a live band, another first for after a meal. The Pretty Weeds are a local north east based band with a good range of music, very loud but they played something to most people’s taste at some point in the evening. The older members took to the dancefloor enthusiastically – Clive, Roger, Ian and their respective partners leading the dancing for most of the night, with the younger element dancing in a more reserved manner in the bar area. 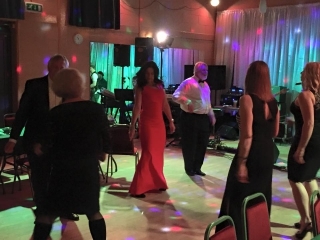 All in all a very nice evening, bringing in about £500 profit between the food, bar and raffle – definitely a new event for the annual social calendar. Earlier in the afternoon a small crowd assembled to watch the Grand National and the Men’s & Women’s Boat Races. The highlight of the afternoon was Clive guessing the finishing time of 17 minutes and 34 seconds exactly to win the sweepstake, much to the disappointment of Captain Castling who thought he had nailed it! This entry was posted in Club News on April 15, 2015 by Colin Lawson.